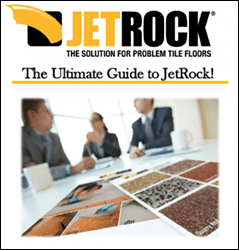 JetRock floors are a unique blend of epoxy and quartz – much different than traditional tile and sheet flooring. Old school mopping techniques are not enough to clean and sanitize JetRock floors. Contact JetRock for more information or a quotation!